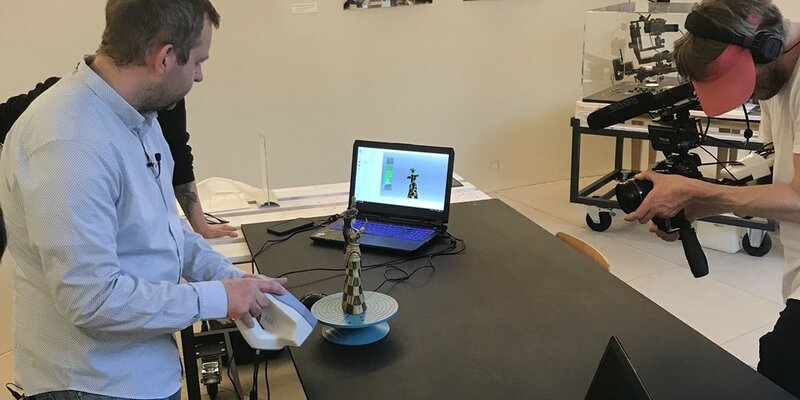 March 10, 2018, 2 till 6 p.m.
At Humboldt-Universität’s TA T-exhibition space, international archaeologists and designers use 3D-scanning and printing technology in order to re-examine one of the most well-known objects from Greek Bronze Age archaeology. 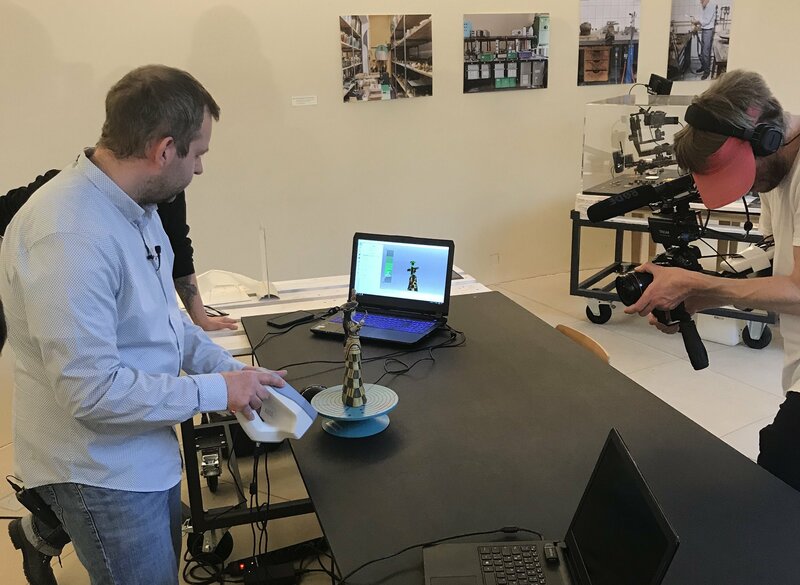 The results of this week-long experimental workshop will be presented to the public on March 10, 2018. Additionally the curator’s guided tours through the exhibition »Replica Knowledge« will give deep insights into the history of popular replicas, their (re-)construction, spreading and commercialization – stories of truth and myth. 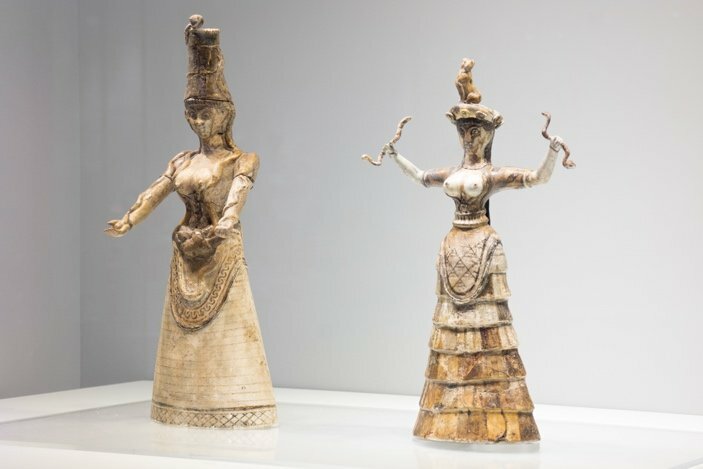 The so-called Snake Goddess figurines from Knossos, Crete, rank among the most spectacular archaeological finds from the Aegean Bronze Age. Almost unknown to the general public is the history of their reconstruction. They are a part of a series of objects that come from a find called the Temple Repositories. These were two large closed stone containers found in the ground at the Palace of Knossos. More than 3,500 years ago, the faience figurines and other objects had been ritually fragmented and purposefully buried in these containers. Some parts of the objects including the head of the smaller ‘Goddess’ were deliberately left out. The archaeologists supplemented the missing parts and reconstructed the figurines as whole bodies. Their Goddesses were highly speculative characters. 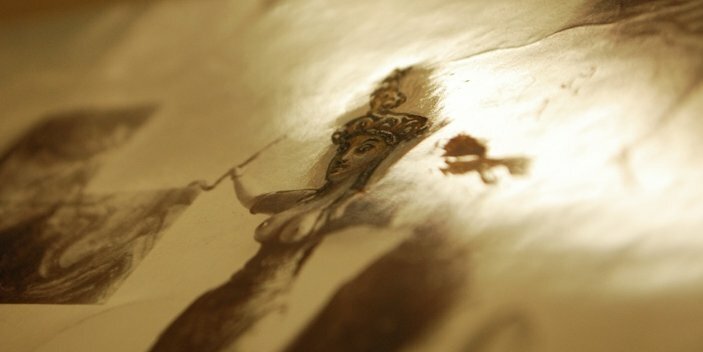 Especially the characteristic ‘modern’ face and cat-topped hat of the smaller Goddess and her arm holding a snake were products of the archaeologists’ imagination. This embodiment ultimately supported the modern belief in a Minoan matriarchal civilization where Snake Goddess were worshipped. The research by exhibition curator Anna Simandiraki-Grimshaw and Fay Stevens in the archives of the Ashmolean Museum has brought to light the fine line between archaeological reconstruction and (male) imagination as the original photographic prints showed drawn >additions< such as an apparent highlighting or even enlargement of the Snake Goddess breasts. However, the Snake Goddesses were soon emancipated from the male interpretation by feminists looking for role models from ancient matriarchal societies. 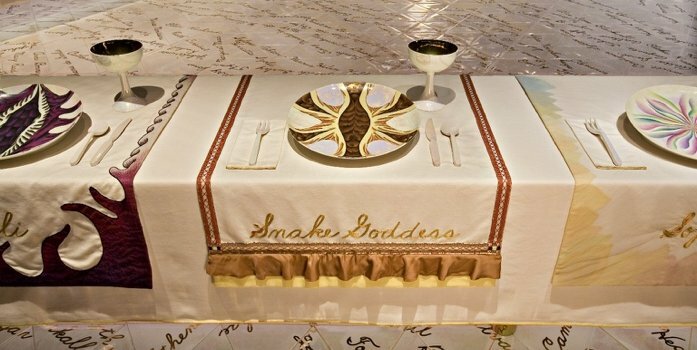 Two of the most striking examples of a post-modern appropriation of the Snake Goddesses were realised by the artists Judy Chicago (b. 1939) and Marina Abramovic (b. 1946). 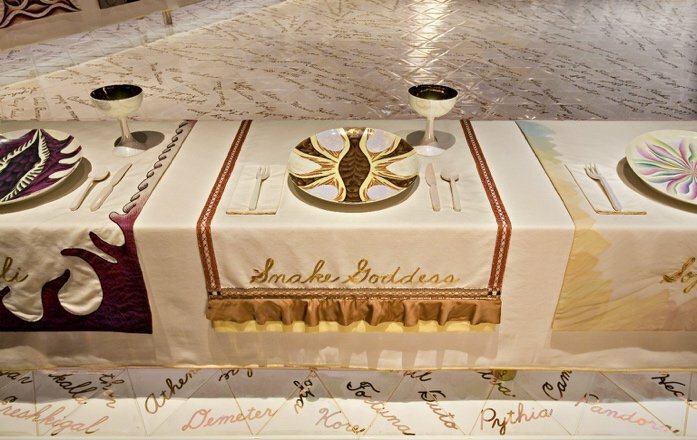 In her monumental feminist installation The Dinner Party (1974–1979), Judy Chicago memorialised important women in history including the Cretan Snake Goddess. 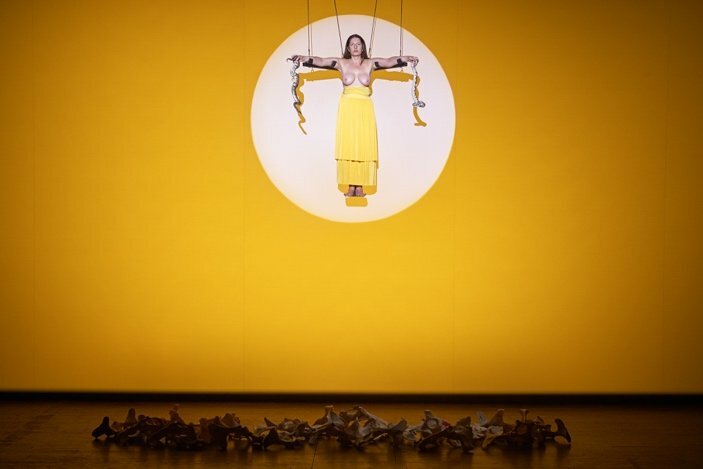 In her autobiographical performances Marina Abramovic often embodied various mythical women associated with snakes and she eventually performed as the Snake Goddess (The Biography Remix, 2005). 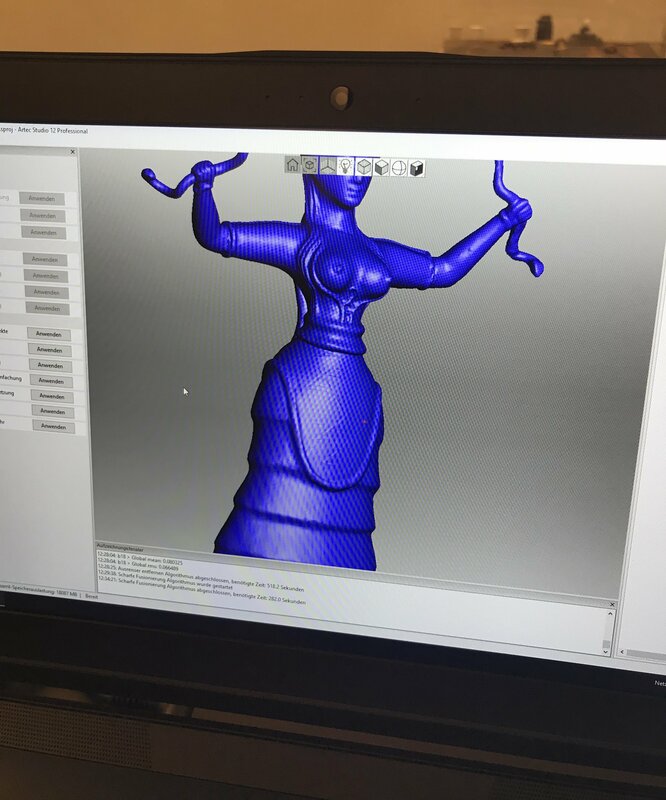 Based on the ambivalent history of the Snake Goddesses’ reconstruction, replication and appropriation, the workshop aims at exploring a contemporary perspective. 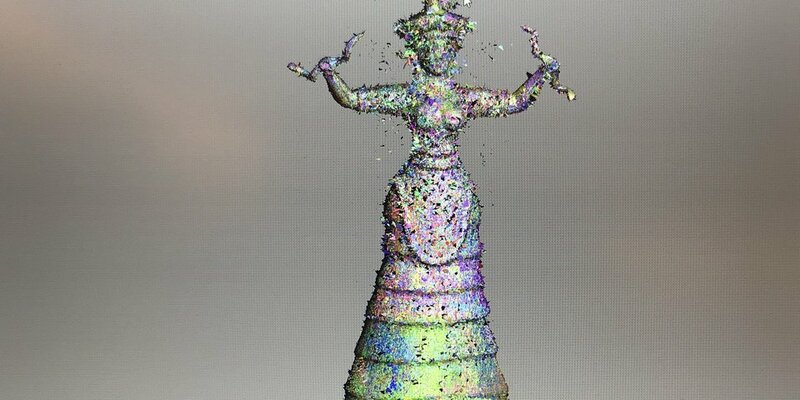 First, museum replicas of the Goddesses will be 3D-scanned. An interdisciplinary team of the exhibition curators and 3D-artists will then attempt a deconstruction, i.e. 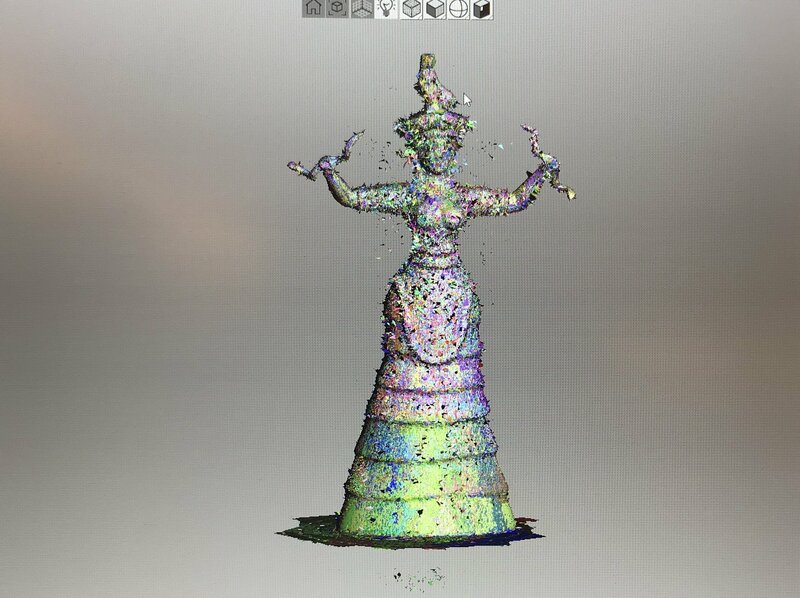 by virtual re-fragmentation of the figurines. From these fragments that represent both original finds and reconstructed body parts, a contemporary interpretation is attempted. 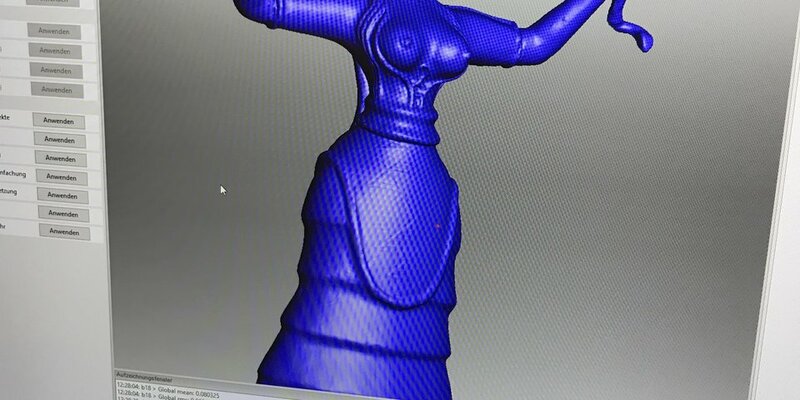 Will it become a Goddess or another female character? What will she look like? 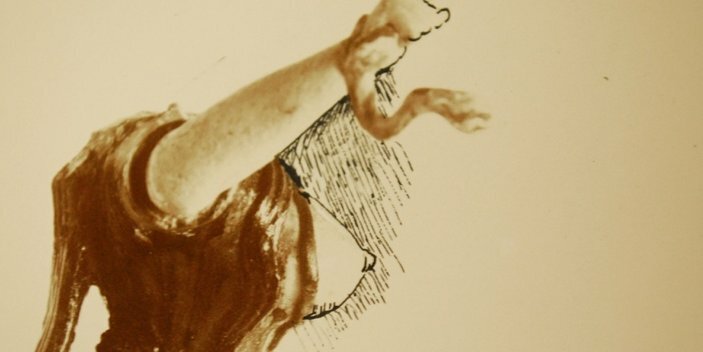 What could be her role in discourses on gender and epistemology? Dr. Anna Simandiraki-Grimshaw. Archaeologist and specialist in the Aegean Bronze Age. 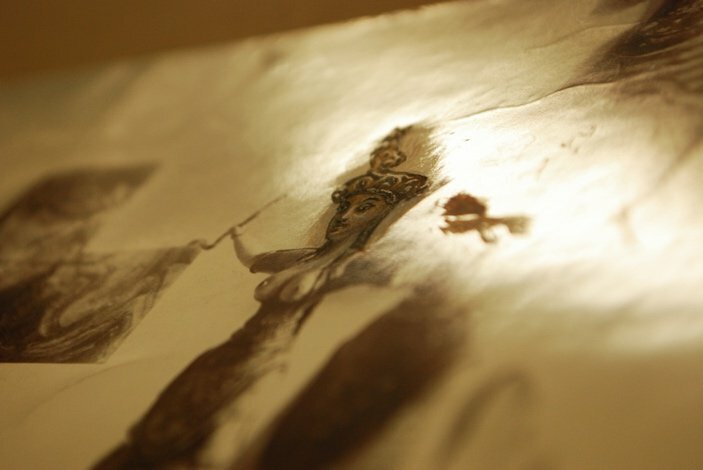 Curator of Replica Knowledge. 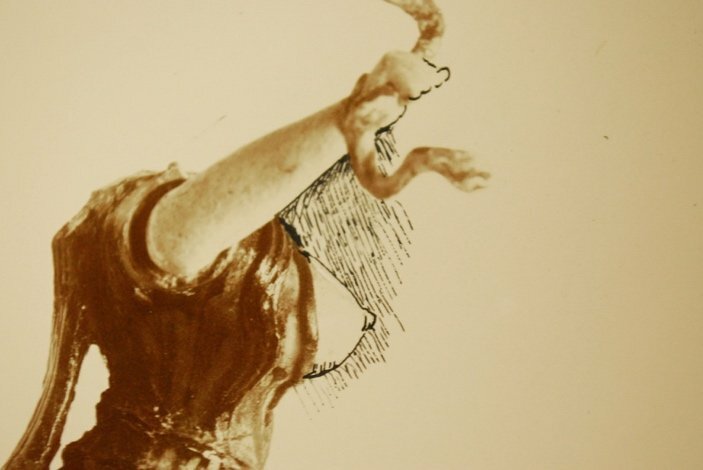 From 2016–2017 she was a post-doc fellow at the Hermann von Helmholtz-Centre for Cultural Techniques and the Cluster of Excellence »Image Knowledge Gestaltung« at the HU Berlin. She is currently a Lecturer in Greek Archaeology and History at the University of Cardiff and a Senior Teaching Fellow at the University of Bristol, UK. Felix Sattler. Artist and museologist. 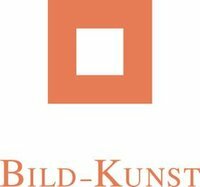 Curator of the Tieranatomisches Theater at the HU Berlin and curator of Replica Knowledge. Co-leader of »Collecting and Exhibiting« priority research area at the Cluster of Excellence »Image Knowledge Gestaltung« and the Helmholtz-Centre for Cultural Techniques. Fay Stevens. Academic, curator, artist and writer. She currently works as Adjunct Professor of Archaeology and Ethics and London Archaeology at the University of Notre Dame (U.S.A.) in England. Julia Blumenthal. Interaction designer and cabinetmaker. She manages the material and model making workshop of the Interdisciplinary Laboratory at the Cluster of Excellence »Image Knowledge Gestaltung«. Georgie Grace. Visual artist who makes video using game development tools and 3D modelling software. She studied Philosophy and Social Anthropology at Cambridge University before completing her MFA at Cambridge School of Art in 2012.